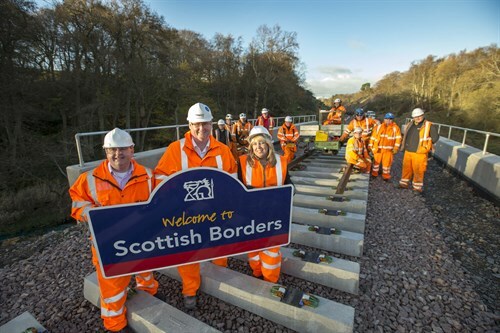 Latest figures from the Office of Rail Regulation show that last year, total workforce harm increased by 10% and infrastructure worker harm increased by 22%, compared to 2013. The engineers at leading UK rail safety specialist, Sheffield-based Zonegreen, make it their business to reduce these statistics. The firm develops cutting edge rail technology that improves depot protection and complements maintenance operations, without introducing time consuming or expensive procedures. Zonegreen has recently unveiled its second generation SMART Depot Personnel Protection System (DPPSTM), the first complete overhaul of the firm’s flagship product since its introduction 15 years ago. A wealth of additional features have been added to this latest version of DPPSTM, which has been under development for six years and cost many thousands of pounds to bring to market. The system has always been the safest method of controlling train movements in depots, but it is now simpler to install, easier to use and more efficient to run. DPPSTM is specified in most modern maintenance facility designs in the UK and its reputation is growing quickly worldwide. It combines powered derailers, road end control panels, train detection equipment, warning signals and personal datakeys to protect staff and infrastructure and is the most advanced, reliable and tested product of its type. In response to its increasing global popularity, the next generation DPPSTM has been designed with export in mind, using intuitive functionality, based on a simple four button controller and a new graphical interface that can be programmed in any language, accommodating characters and letters. Remote configuration and assistance has also been added, making overseas installations simpler and more cost effective. The customer centric focus of this new DPPSTM extends to its design, which is more ergonomic than its predecessor. A tactile membrane has been added to improve durability, along with high quality electronic components that have increased its reliability and reduced power consumption, delivering further cost savings. 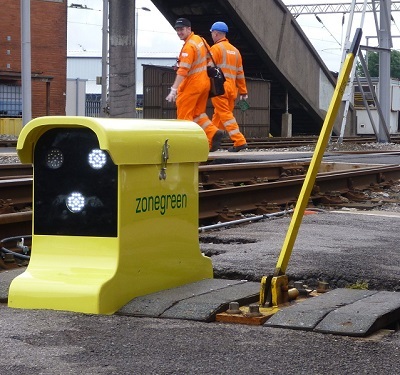 By continuing to utilise distributed intelligent technologies, Zonegreen has also ensured that if an error is detected on one road, normal operation can continue throughout the rest of the depot. This minimises disruption and represents a significant step forward from traditional project life cycle (PLC) systems. 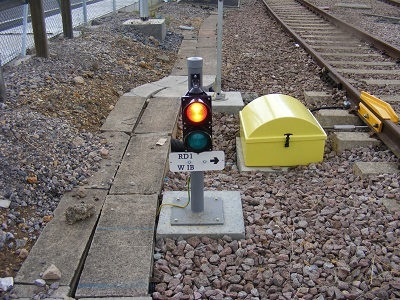 Standardised software is now used to run DPPSTM, which means it can still be configured to the unique layout of each facility, but depots can also benefit from years of extensive development and testing. Every installation comprises hardware and software that has been verified independently and complies with safety standards, as defined in IEC61508 and EN50128/50129, as well as current electromagnetic compatibility (EMC) railway guidelines. In addition, it is easier for Zonegreen to the share new features and updates with existing and future clients. The datakeys used to operate DPPSTM have also undergone a facelift. Most notably, they have changed in appearance, whilst additional levels of access have been added, providing improved inscription and security. Temporary keys are available for the first time, granting access for a limited period and, therefore, mitigating security issues arising from the distribution of duplicates, should a member of staff forget their original. The new generation DPPSTM enables an engineer’s datakey to be programmed with a depot’s layout and used to transfer data to the equipment when inserted, again minimising installation time at a depot. All software is tested rigorously and repeatedly by Zonegreen’s in house experts, mitigating the risk of errors, whilst self testing can be carried out after installation, identifying faults and providing feedback in the rare event of a problem. For example, if power is cut to the derailer, a message will appear informing the user of this change in status. 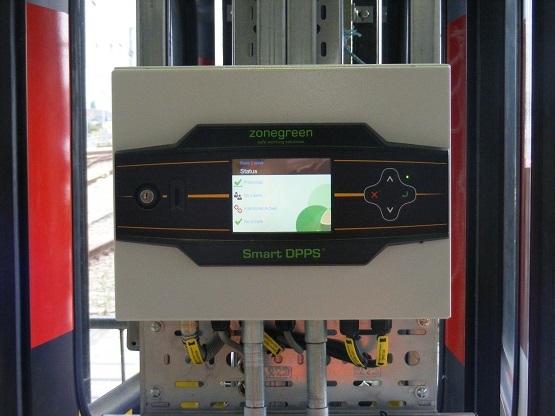 Zonegreen’s longevity and reputation as a global leader in depot safety systems is credited largely to the enduring success of DPPSTM. But, thanks to continued research and development, the firm has brought a range of complimentary products to market, including Operator Planning Suite (OPS). This web-based application is designed to replace the traditional whiteboard, providing increased efficiency and cost effective maintenance planning. OPS consists of two main screens – an easy to visualise graphic of the depot on which users can position trains and create or assign tasks, plus a tabular layout to plan scheduled arrivals and departures. The data is then transmitted to monitors positioned in strategic locations, providing accurate updates about any vehicle. This multi user system is compatible with DPPSTM, providing seamless management of maintenance activity and collation of information from which reports can be generated, reducing manual tasks and paperwork. 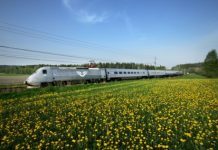 In 2013, OPS was implemented at Alstom’s facility near Nola, Italy to manage the maintenance of high speed trains on the Turin-Salerno and Rome-Venice lines. The 140,000 square-metre depot has 12,000 metres of track and employs 200 people. As changes occur, they are recorded automatically and the updates transmitted immediately, reducing the likelihood of communication failures. 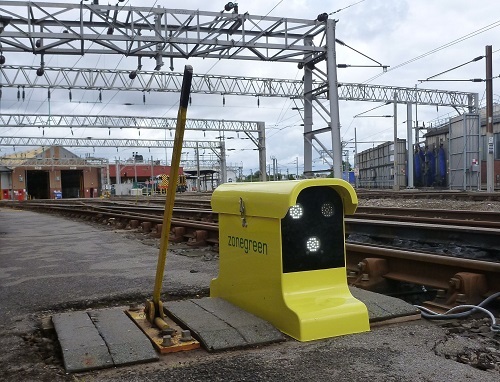 Like the DPPSTM, Zonegreen’s most recent innovation, Points Converter, is responding to the safety needs of rail workers, in particular shunters and drivers, who are among the most at risk members of staff in a maintenance facility. According to the Rail Safety and Standards Board, 20 in every 1,000 shunters are injured each year, compared to just 10 per 1,000 track workers. Points Converter automates traditional hand points – the manual levers that alter the course of tracks. These heavy hand operated switches are still a common sight at older rail depots and put significant physical strain on the driver or shunter operating them. Accidents at points are also very likely, as they are often located in hazardous external areas with uneven terrain and obstacles, increasing the risk of slips, trips or falls. Zonegreen’s technology attaches directly to the hand point mechanism and moves the switch blade with a hydraulic actuator. Multiple units can be linked and operated from a distance, using a remote or cab mounted handset or depot-based computer system, which enables predefined routes to be set in advance. Switch position is then moved automatically, allowing a train to reach its desired location without physical intervention and exertion. According to the Rail Safety and Standards Board’s 2013/14 Annual Safety Performance Report, injuries to drivers and shunters account for almost one third of all accidents in rail yards and depots, with 68 per cent of these resulting in major incidents. Operating manual points also has occupational health risks, increasing the likelihood of lasting damage to the back, shoulders or neck. Associated British Ports (ABP) has become one of the first champions of Points Converter, installing the devices at its operation in Hull. The innovative technology is improving safety on the port’s freight lines, which are used to transport deliveries of sustainable forest products from Scandinavia to a biomass silo serving Drax power station. In 2014 alone, ABP Hull moved 1.3 million tonnes of biomass material, alongside the diverse range of other bulk commodities it receives. The port has more than 100 freight train drivers and until Zonegreen’s intervention, they were required to leave their cab to pull points on the route to the silo manually. A total of 11 Points Converters were installed at the port, controlling four roads to the biomass silo. A remote handset operates the points allowing routes to be set in advance, from any location in the facility, adding considerable time savings to the health and safety benefits for drivers. In response to the growing popularity of Zonegreen’s products worldwide, the firm is expanding its in house capability, with the addition of two new engineers and its first dedicated sales and marketing manager, who is tasked with developing new business across the globe. This trio of appointments joins a highly qualified team, who are Technis certified for functional safety and reliability and recognised by Lloyd’s Register Yellow Book, which is acknowledged in the UK as the definitive guide to engineering safety management. 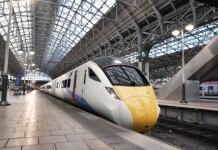 The firm also has experts in electrical radiated emissions who are certified for Electromagnetic Compatibility (EMC) on railways and meet the requirements of Personal Track Safety, the Institute of Railway Signalling Engineers and the internationally renowned Railway Industry Supplier Qualification Scheme. This investment in personnel is matched by a determination to grow the firm’s export business. Having identified an increasing interest in its products overseas, Zonegreen has spent the last five years focusing on building a team of international representatives who can introduce its technology to depot operators in their respective territories. Currently, the firm is represented in the Middle East by Masar, based in Saudi Arabia, Mercury International in India, AWI Maskin AB who cover the Nordic region and Andrew Engineering in Australia. As a direct result of these partnerships, DPPSTM is already installed in Dubai, the firm is about to ship a second generation system to the Wulkuraka depot in Ipswich, Australia, where end users believe there is a genuine need for the technology and enquiries are being received from all other areas.